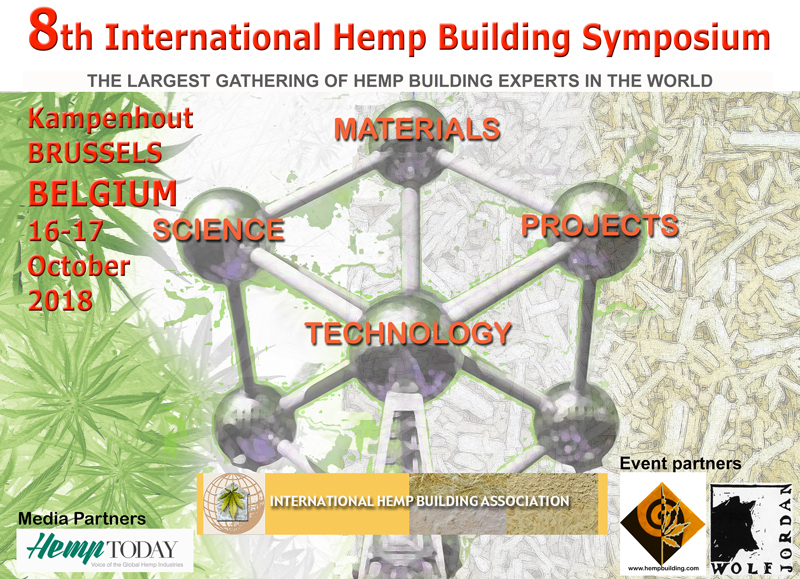 The 8th International Hemp Building Symposium will be held in an ancient castle Hof Ter Loonst, Kampenhout, Brussels, Belgium. This Symposium is organised by the International Hemp Building Association and hosted by Jordan & Co. and Steve Allin of Hempbuilding.com. The two day event will consist of international speakers with the latest research results and material tests. There will also be presentations from people working in the industry about projects they are involved in both planned or completed. This year’s Symposium is being held in an ancient old building that has been renovated with hemp building products our planned visit is to a hemp building project situated nearby and the GreenBiz centre in Brussels. Business Center “Hof Ter Loonst” provides facilities for meetings, seminars and company events. This location guarantees a successful combination between an age-old piece of history and a contemporary Business Center.